1. If we went by plane we would arrive earlier 2. They would listen to you if you insisted 3. If I was you, I would complain 4. the children would stay at home if it rained 5. would you write to me if you had my address? 6.we wouldn’t see anything if we didn’t have enough candles 7. if you stopped smoking, you would breathe better. 1. If she had spoken German better, she would have applied for the job 2. if her friend hadn’t phoned, she wouldn’t have heard about teaching jobs 3. if she hadn’t contacted the company, they wouldn’t have asked her to go for an interview 4. If the interview had gone badly, the director wouldn’t have offered Ellen a job. 5. If Ellen had known some Spanish, she would have started at once. This entry was posted in 1st batxillerat 2nd term on 15/02/2011 by mmateo1. If I won the lottery…. Or invent your own hypothetical situation. This entry was posted in 1st batxillerat 2nd term on 02/02/2011 by mmateo1. 1. where are you going? 2.how long are you staying? 3. when are you going? 4. are you going alone? 5. are you travelling by car? 6. where are you staying? 2.’m working late 3.I’m going to the theatre with my mother 4.I’m meeting Julia at 8 pm. example answers: 2. I’m going to work tomorrow morning 3. I’m not doing anything tomorrow evening 4 I’m playing football next Sunday 5. I’m going to a party this evening. 3. are having 4. opens … finishes 5. am not going… am staying 6. are you doing 7. are going … begins 8. does this train get 9. am going … Are you coming 10. is coming …is travelling… arrives …am meeting 11. am not using 12. does it finish. 1. I’ll get 2. I’m going to sit …I’ll join 3. you’ll find 4. I’m not going to apply 5. you’ll wake up (you are going to wake up is also possible) 6. I’ll take…We’ll leave…Ann is going to take. This entry was posted in 1st batxillerat 2nd term on 16/01/2011 by mmateo1. Write a letter to a friend telling him/her about your plans for the holiday break in February. This entry was posted in 1st batxillerat 2nd term on 15/01/2011 by mmateo1. This entry was posted in 1st batxillerat 2nd term on 12/12/2010 by mmateo1. Find a text that you want to share with the rest of the class, contextualize it (say where it belongs to, who its author was) and explain why you find it interesting. Then read it aloud for one minute. This is your oral activity for the second term. When you are done, post a short summary of your experience on the blog. Your text may be a newspaper article, a poem, a song, a novel, a review, a personal letter, a biography… whatever will do as long as it is in English. This entry was posted in 1st batxillerat 2nd term on 06/12/2010 by mmateo1. 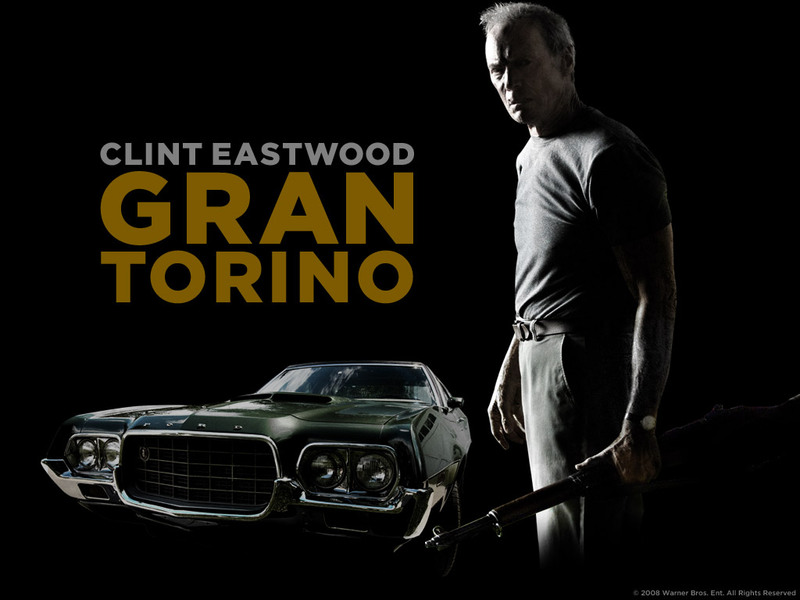 These days we have been watching the film Gran Torino. It’s an interesting film that deals with many universal topics. It’s the story of an old man and his Hmong neighbours in a town in the American Midwest. Which topics are shown in the movie? Think about the film and give your opinions.